Qualified University of Washington School of Medicine WWAMI applicants will have the opportunity to apply to the Idaho TRUST program within their secondary application materials. The secondary application is available only through the University of Washington School of Medicine (UWSOM). WWAMI applicants applying to the Idaho TRUST Program fill out an additional section included with the Secondary Application materials. Idaho TRUST applicants must submit all application materials, as with all University of Washington School of Medicine applicants, to the UWSOM Admissions Office by December 1. Materials received after this date will not be considered. Interviews usually occur in mid-January. Please pay close attention to the information provided by the UWSOM Admissions staff once you have been selected to be interviewed. Idaho TRUST Scholars will be notified as to their admission status no later than one week after the TRUST interview. Applicants not accepted for the TRUST program may be considered for regular admission into the Idaho WWAMI program. While TRUST Scholars preferences will be taken into account, the TRUST Selection Committee will make the final decision on continuity community site assignments in Idaho. See TRUST locations for more information. "I understand that I am agreeing to participate in the Targeted Rural Underserved Track 2 – (TRUST) Program at the University of Washington School of Medicine. If I am accepted into this program, I make a firm commitment as a TRUST Scholar to fully participate in and complete the requirements of the program. I understand the current learning plan and am aware of the opportunities afforded in the TRUST program. I understand that the TRUST program is intended as training for those medical students who fully intend to practice medicine in rural or other underserved areas. I understand that if I am offered admission into the TRUST program and decline this offer, I will not be offered admission to the UW School of Medicine for the same entering year. If I am not accepted into the TRUST program, my application will still be considered for admission into the regular medical school class for the same entering year." 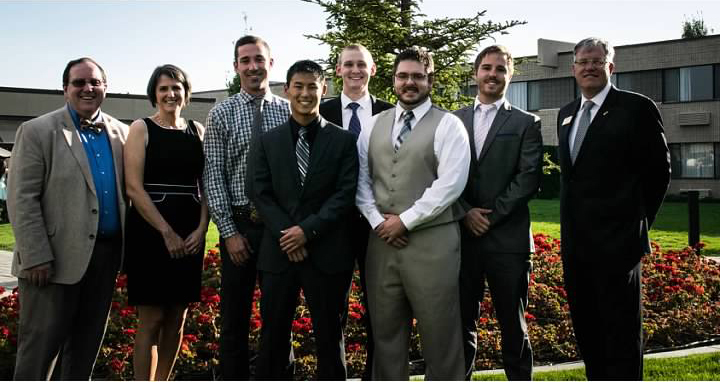 TRUST provides WWAMI students with a continuous connection within underserved communities, medical education and health professionals in Idaho. After a targeted TRUST admissions process, TRUST scholars are linked to small city, underserved or rural communities in Idaho (TRUST/WRITE sites) for a series of educational experiences throughout all four years of medical school. Linkage with existing UW programs such as the Rural Underserved Opportunities Program (RUOP) and the Underserved Pathway (UP), in addition to unique curricular elements, allow TRUST scholars to immerse themselves in the care of the underserved. The eventual goal is to create a physician workforce specifically trained for the underserved areas of the WWAMI region. Idaho TRUST Scholars will have multiple opportunities to experience first-hand the joys and satisfaction of practicing medicine in a rural or urban underserved community. To learn more please visit the UW’s TRUST program. TRUST Scholars are matched with continuity communities in Idaho and benefit from the expertise of physician preceptors over the course of their medical school career.